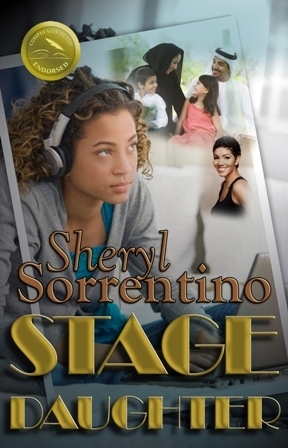 Sonya is a single mother that always dreamed of being an actress but never quite made it. Struggling to support her daughter, Sonya pushes her daughter Razia to become the successful actress that Sonya would never become. Sonya is trying to find her place in a world where she never seems to fit in while focusing all of her attention on troublesome Razia. How can one woman hold her own while combatting so many outside forces? Razia is curious about her father and disappears for the afternoon on a trek that lands her in front of a man that she doesn’t even know. One curiosity about her life has changed the lives of everyone that she knows. She comes face to face with her father, Aziz, with whom she has nothing in common with but she is fascinated by. What will happen to Razia now that she has a mother and a father that just can’t get along? Aziz is a muslim yogi running a successful business when a daughter that he never knew he had arrives at his work. Struggling with his past and present infidelities, Aziz is now faced with the challenge on worrying about the future of two separate families. What will happen when Aziz’s unfaithfulness to his religion and to his wife come crashing in to his life? “The Traveler” is the exciting first book in the Fourth Realm Series written by John Twelve Hawks. “The Traveler” focuses on the lives of two brothers, Michael and Gabriel Corrigan, and a fighter named Maya. Michael and Gabriel have lived “off the grid” for the majority of their lives until the day Michael gets tired of living like a hermit and decides to make something of himself, calling upon him the attention of the Tabula. The Tabula, also known as the Vast Machine, are a mysterious organization that keeps a watchful eye on people throughout the world and claim to be a terrorist prevention organization by seeking to get rid of ancient fighters called Harlequins and those they protect, Travelers. The father of the Corrigans was a known Traveler, but does that mean Michael and Gabriel are Travelers as well? What will happen if the Tabula catches them before Maya, one of the last Harlequins alive, can find them and protect them? Will the world ever truly be safe from terrorism or the Tabula themselves? I won’t deny, “The Traveler” is quite a thrilling book… If you can make it past the first 200-250 pages. The first half of the book was incredibly drawn out and the book took me roughly 5 months to read because it wasn’t something that immediately pulled me in. The characters weren’t very personable and it was difficult to warm up to them. It was interesting to read about Maya, a ruthless killing machine, and see the way that she begins to care for Gabriel even though affection between a Harlequin and a Traveler is forbidden. This book is full of betrayal, mystery, suspense, and action. The author gives great detail throughout the book, but often times it was overwhelming and would pull me away from what I actually wanted to find about about the Corrigans and the Vast Machine. It wasn’t something that I would personally recommend, but there’s a rumor that Warner Bros will be looking into an adaptation of the book, so maybe it will have better luck as a movie. At best I give it a 4/10. Crystal Clean is the emotional and honest story lived and told by a mother struggling with meth addiction. Kim had low self-esteem through her adolescence and started using drugs and alcohol at a very young age to help her cope with her depression. By the time Kim was in her late 30’s, she was using every day. Kim tells her story starting from the way she was treated at school at a very young age up until she was in her early 40’s and had been sober for 4 years. She tells the story openly sharing both the good things that she learned and all of the negative things that she had to pull herself out of in order to survive and be there for her son. She talks about denial, loving yourself, and taking care of yourself. It was heartbreaking to read everything that Kim had to go through and the lessons that she had to learn the hard way in order to come out on top of her addiction. It was a tear-jerker when Kim retells her stories about her son Andy, and it truly touched my heart the relationship that she had with her son and how a mother should be willing to do anything to protect their children, including sobering up. The most emotional part was when Kim was talking about being in rehab and having to confront her parents about how she felt. Crystal Clean is a must read for anyone in this generation due to it’s powerful insight on life provided by the wonderful author and mother that dealt with it first hand. It was the most honest work of art that I’ve ever read and would greatly recommend it to anyone. Hands down, 10/10.